The below properties are available for monthly rentals from May 1st, 2019 until November 30th, 2019. 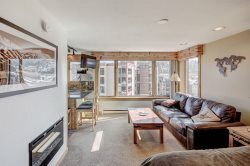 The rentals are NOT available for one year lease or over the ski season. Please, contact us for the monthly rates via contact form on the website or give us a call. See below more information on the rentals. NO PARKING AVAILABLE - Do not ask. - There is no smoking (includes marijuana) of any kind permitted inside of the home or on the property premises. - Stays of 3 months or longer will also incur the cost to clean the carpet professionally, deducted from the security deposit at the end of the stay $100. - Charges will occur automatically on the first day of each monthly rental period (30 days). - All payments must be made on a credit card or via ACH - no cash or checks accepted. - Subject to background check. $30 non-refundable fee required for screening.